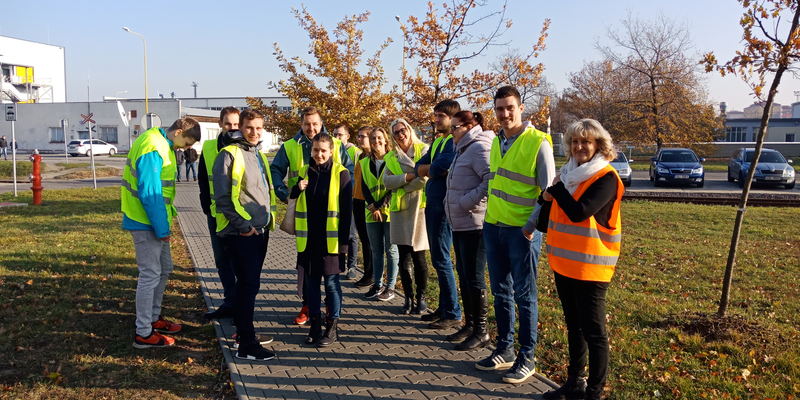 On 28 November 2018 the students of our department participated in regular excursion to Continental Barum in Otrokovice under the leadership of prof. Dr. Ing. Drahomíra Pavelková. Students visited production facilities and attended lecture on Corporate Strategy prepared by Continental Barum representatives. On 22 November 2018, Dr. Jana Vychytilová attended a working breakfast named Finance Department 4.0, which was co-organized by Microsoft, the Association of Certified Accountants (ACCA) and the Czech Financial Management Association (CAFIN). In addition to interesting information from the world of modern finance and the possibilities of digital transformation of financial departments in companies, Microsoft has been promised the possibility of future cooperation with FaME UTB, for example, through a workshop on program “Power BI” using AI and machine learning, and providing this software free for student. 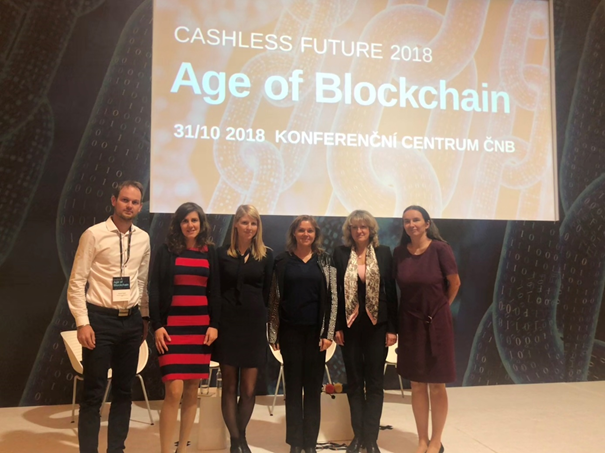 Members of our department participated on the 31st October 2018 at the premises of the Czech National Bank in Prague on the 5th year of the HN conference on cashless companies and business called the CASHLESS FUTURE 2018 Age of Blockchain. The main topic of the conference organized under the auspices of the Vice-Governor of the CNB, Mojmír Hampl, was the launch of Blockchain and crypto-currencies technologies, including their benefits and threats to the entire financial system. Sian Nannat (CEO of Blockchain Expert UK), presented his contribution How Blockchain could change the financial history, Ethical Hacker Denis Jaromil Roe (Founder and Technology Director of Dyne.org) contributed with Hack your money – The security treatments, or for example Maria Staszkiewicz, (CEO of Czech Fintech Association) presented her topic of Blockchain Republic. 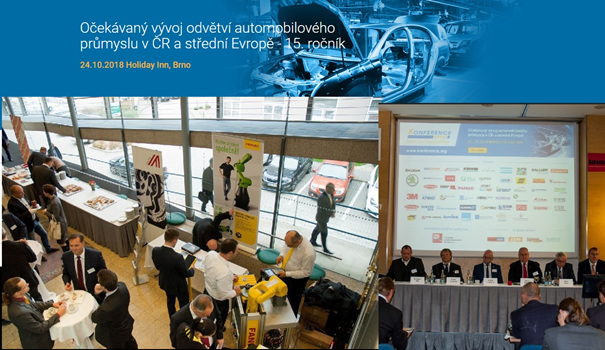 On October 24, 2018, our colleagues dr. Jana Vychytilová and dr. Martin Mikeska took part in the 15th conference “Expected development of the automotive industry in the Czech Republic and Central Europe”. Together with them, expected industry trends 4.0 were also enjoyed by two master students. On October 23, 2018, our department members participated in the 5th annual IT Conference for Finance, organized by the Czech Association for Financial Management. The individual contributions were focused on Companies 4.0, Reporting and BI in ERP Helios Orange, Paper is Out or Digital Benefits, Digital Transformation in Corporate Expenditures, DWH Project and Bata Reporting, Digital transformation of controlling in production in ITW Pronovia, Datamining with a flash of reality, Financial statements in Power BI, or Financial Robotics in MSD. In October 2018, Mr. Tomáš Hrbáček, the CFA IRC completion main Coordinator, personally came to the course “Business Finance”. Mr. Hrbáček informed the present students about the possibility of participating in the International Valuation of Firms competition- CFA IRC and among other things he also mentioned the benefits that the students receive from the successful connection of the study program “Finance” to the prestigious UAP list of study universities in the world supporting education and development investment professionals, in the form of being eligible for a CFA Level 1 scholarship.